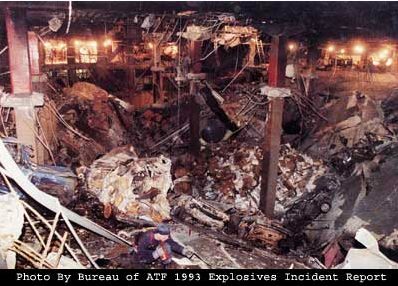 On the morning of February 26, 1993, Islamic militants steered a nondescript Ryder van through the winding darkness of the parking garage under the World Trade Center. They had spent years planning this moment in secret meetings at mosques and jailhouses, in rural outposts that served as paramilitary camps, and in safehouses where explosive compounds were mixed in makeshift labs. The Islamists will not surrender until either they are killed or we surrender. Two American presidents have adopted two different strategies to fight the Global War. President Clinton let our enemy bring the war to us. In contrast, President Bush has brought the war to our enemy. So the question for our next president is: Will you fight the Islamists here or continue to take the fight to them? Hat tip photo: Michelle Malkn.